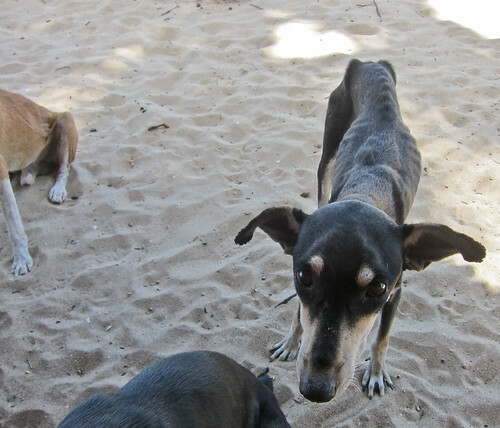 The dogs at the Wayúu village were the skinniest dogs I had ever seen in my life. I thought they looked like they were going to die at any moment. We were eating lunch at a little beachfront restaurant and I fed them plantains, rice, and fish from my meal. I was thinking that might be their last meal. Then a female evidently in heat walked by and they all started trying to mount her - I guess they were healthier than they appeared!